It is a myth that the straight-arm salute is an old Roman salute adopted by Mussolini. According to Dr. Martin Winkler in "The Roman Salute on Film" of the American Philological Association, the salute is not in any Roman art or text. The salute occurs in these films: the American "Ben-Hur" (1907), the Italian "Nerone" (1908), "Spartaco" (1914), and "Cabiria" (1914). In imitation of such films, self-styled Italian "Consul" Gabriele D 'Annunzio borrowed the salute as a propaganda tool for his political ambitions upon his occupation of Fiume in 1919. Earlier, D'Annunzio had worked with Giovanni Pastrone in his colossal epic Cabiria (1914). Mussolini worked with D'Annunzio. Dr. Winkler didn't know about the original U.S. flag salute (1892) that inspired the films. The straight-armed salute in the USA's racist and segregated government schools, served as an example to Germany through WWI and for over three decades before Nazism and WWII. 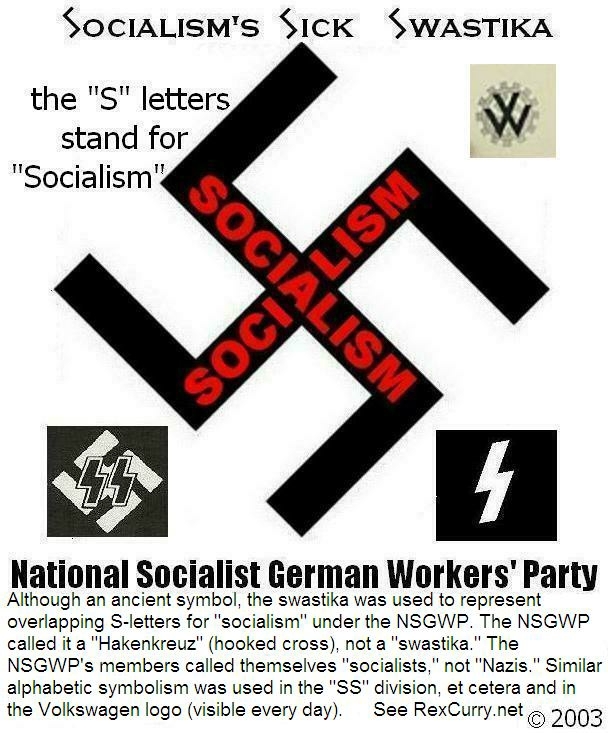 The National Socialist German Workers' Party was inspired by the films, by the pledge of allegiance, and by the older national socialism movement in the USA. The salute began to change during WWII. Francis Bellamy was inspired by his cousin and cohort Edward Bellamy, the author of the book “Looking Backward” (a bestseller written in 1887 by Edward Bellamy). Both Bellamys wanted the government to take over all schools and create an “industrial army” of totalitarian socialism as described in the book. Edward Bellamy’s best-selling book was translated into 20 different languages, including Russian, German, Italian, and Chinese. It was popular among the elite in pre-revolutionary Russia, and Lenin’s wife was known to have read the book, because she wrote a review of it. In 1935, Columbia University requested three people (John Dewey, a philosopher; Charles Beard, a historian; and Edward Weeks, the editor of Atlantic Monthly) to list the ten most influential books of the preceding 50 years (from 1885 to 1935). It was intended as praise when, on all three lists, prepared independently, Edward Bellamy's Looking Backward appeared second on the list, the first being Karl Marx’s Das Kapital (1867) (The Communist Manifesto was written in 1848). It is important to remember that during this time of Bellamy's great influence, the National Socialist German Workers’ Party had been in existence since 1920, with electoral breakthroughs in 1930, and dictatorship in 1933. Many writers have suggested that Bellamy was viewed as an alternative to Marx, and that view raised his influence among German National Socialists. 25 years later, Bellamy’s totalitarian ideas continued. The Union of Soviet Socialist Republics began in 1917. The National Socialist German Workers’ Party came into existence in 1920 (with electoral breakthroughs in 1930 and dictatorship in 1933). In 1922, Mussolini gained power. The People's Republic of China began in 1949. The worldwide impact of Bellamy’s totalitarian ideas influenced the socialist trio of atrocities. 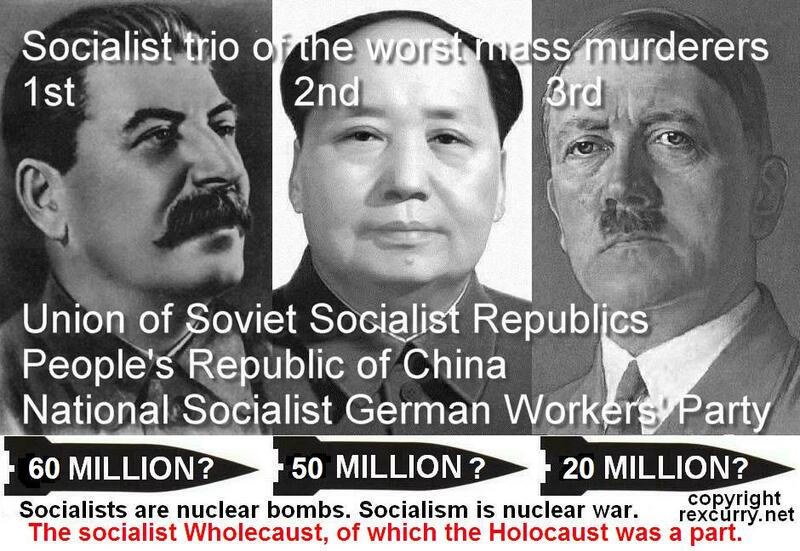 While the Holocaust was monstrous, it was part of the bigger socialist "Wholecaust": Under the industrial army of the Union of Soviet Socialist Republics, 62 million people were slaughtered; the People's Republic of China, 35 million; and the National Socialist German Workers’ Party, 21 million (numbers from Professor R. J. Rummel's article in the Encyclopedia of Genocide (1999)). Marx did not describe a systematic utopia or vision of socialism. Bellamy did. That Dewey, Beard, and Weeks would rank highly people who inspired so much misery and mass slaughter (such as the socialists Edward Bellamy and Karl Marx) is no surprise. Charles Beard was a socialist. Charles Austin Beard married Mary Ritter Beard in 1900 when she taught high school German (she stopped teaching). They had met at De Pauw. Mary Beard accompanied her husband to Oxford, and both were active politically as well as academically. Charles Beard helped organize Ruskin Hall, the "free university" aimed at workingmen, and Mary became involved with the British women's suffrage movement. The school might have actually been free in the sense that it might not have been a government school (socialist school) paid for via theft / taxation, unlike the government schools that socialist support today. The Beards returned to New York in 1902. Their daughter Miriam was born in 1903. The following year the Beards enrolled at Columbia University, but Mary quit soon after to take care of their child. Not only did she quit work to be a mother, an additional irony is that she still found time to volunteer for socialist causes. Following the birth of her son William in 1907, Mary Beard became an organizer for the National Women's Trade Union League. From 1910 to 1912 she edited the suffragist periodical The Woman Voter, and after that worked with the Wage Earner's League. She was a member of the militant faction of the suffrage movement led by Alice Paul from 1913 to 1919, and she worked on several progressive causes. During this period, Charles taught at Columbia University, but he resigned in 1917 in protest of the firing of anti-war faculty. Charles helped establish the New School for Social Research (later joined by refugees from the Franfurt School) and both Beards helped found the Workers Education Bureau, but by the early 1920, the Beards generally worked outside of academic institutions. Following her resignation from the National Woman's Party in 1917, Mary Beard devoted her skills and efforts to writing and lecturing, rather than public political activity. Her first book, Woman's Work in Municipalities (1915) and her second, A Short History of the American Labor Movement (1920), focused on socialism and the "working class." With Charles, she co-authored The Rise of American Civilization (1927), a text that integrated political, economic, social, and cultural histories with a progressive vision of America's past and distinctive national character. The two collaborated on several books. Neither of the Beards avoided controversy in their writings or public stands. Both were described as historians. They increasingly drew criticism for their pacifist and socialist politics in the years surrounding World War II. Charles Beard died in 1948, and Mary Ritter Beard died on 14 August 1958.